Earlier this year, I processed some figures from my Amazon seller account in a spreadsheet and sent Amazon Seller Support several emails. Within 2 weeks, I received $2191.73 in reimbursements from Amazon for lost, damaged, and destroyed FBA inventory! If you've been selling on Amazon for a few months, chances are you might have received several emails from Amazon Seller Central with the subject "FBA Reimbursement Notification", where Amazon notifies you that they will be reimbursing you for lost or warehouse damaged items. However, you are probably NOT receiving every reimbursement that you should. So how did I get my reimbursements? Earlier this year, I was asked to review a couple of Amazon FBA reimbursement guides. The first reimbursement guide I was sent was fantastic! It had both videos and a PDF book that walked you through the various ways to apply for the reimbursements. The price for the guide was about $200. While steep at first glance, it would still have been a fantastic investment considering I got over $2000 back within days of putting the steps in the guide into action. And this can be repeated to get owed reimbursements every 3 or 6 months. Just before I was about to recommend the guide, I was introduced to another guide. This other guide was very similar. It explained the same processes step-by-step, except that it only came in a PDF ebook format with no videos. The big difference is that it costs $39.99 compared to $200! But there is now even better news! ﻿Jim Cockrum had the My Silent Team/Proven Amazon Course coaches and moderators test out the processes in the guide to prove that it worked. The result? Each one of the testers got hundreds and thousands of dollars back within days and it passed our strict criteria to be endorsed as worthy of recommendation. MST/PAC then partnered with Ryan Grant to offer his book at a very special price. 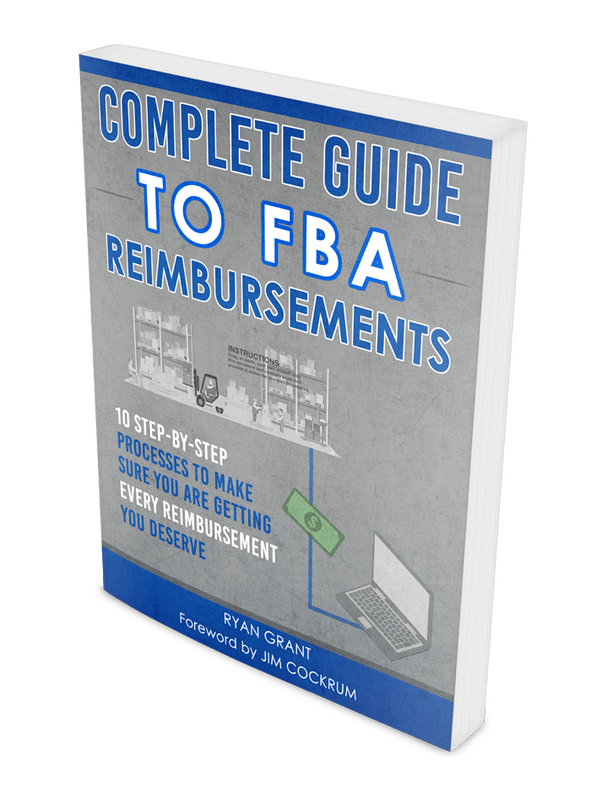 For a limited time, you can get the Complete Guide To FBA Reimbursements here for only $19! ​﻿﻿The book walks you through 10 different processes to get back money that Amazon owes you. Fyi, the $2191.73 in reimbursements I received from Amazon was after going through just the first 3 processes. That means I have 7 more processes to take action on and more money to get back! I recommend that everyone go through the 10 processes every 3 months as Amazon sometimes replies that they will only reimburse for issues up to 90 days ago, which is the official policy. Although in practice I have been reimbursed for lost/damaged items from over 1 year ago - you might get a kind support staff, so it never hurts to ask! I'm sure you can see that this small $19 investment is a tremendous value that will continue to pay dividends over and over again for many years. Update 4 March 2017: I just started submitting reimbursement claims to Amazon Seller Support yesterday. I've so far submitted just 8% of my lost/damaged inventory and already been issued $798.87. If the trend continues, I'm looking at about $8,000 for the remaining 92% of lost/damaged inventory and possibly a few thousand more for inbound shipment reconciliation, customer refunds, etc. Get PAC, which includes this guide along with the most comprehensive proven training resources to sell successfully on Amazon. ​Finally, if you are a Jim Cockrum coaching student, you already have access to PAC and this guide.